By examining three scenarios where new technology has been embraced, we break down how you can take control in your organization as the mobile enterprise changes. Leaders in the mobile enterprise are always explaining how to implement performance support, but very few will really tell you why. That's where we step in. Insert performance support capabilities into your app by learning about these 12 tools for mobile. The exchange of information in the enterprise has always been an important issue. But with open technology in your business, the possibilities are endless. Don't push mobile to the back burner yet. Read up on these 3 major components that will help you deliver performance support in the best way possible. 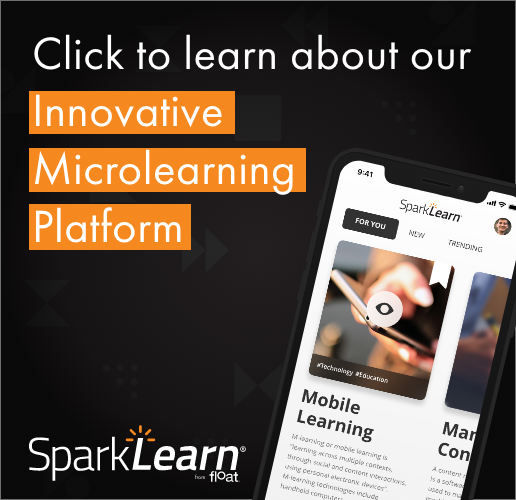 View this post and slide deck to learn more about how you can develop your future applications in the mobile enterprise. Interactive Technology: Are You Doing It Right? Interactive technology is branching out and it's taking the future of content with it. Here is how you can keep up. The business world is always changing. The CHAMPIONS framework can help your organization adapt to those changes with ease. Performance support can combat the stress that comes from a heavy workload in more ways than one.